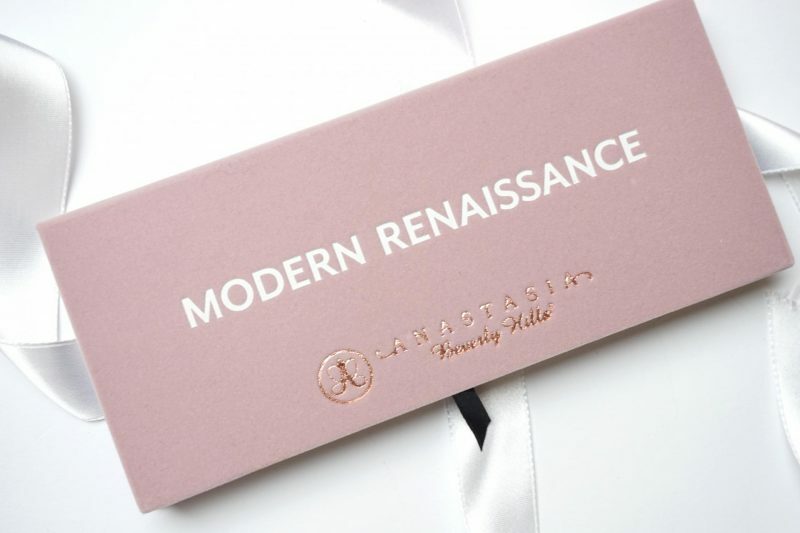 Today I’m going to review the new Anastasia Beverly Hills Modern Renaissance Palette! Every now and then, a beauty phenomenon comes along that everyone needs to check out! This palette has all the factors: packaging, quality, originality and (of course) it’s cute. This is a perfect description of the new Anastasia Beverly Hills Modern Renaissance Palette! I love all of the ABH products, but this is my first eyeshadow palette from the brand. Everyone on Instagram was raving about this item so, naturally, I couldn’t be left behind. The amazing rosy pink packaging was enough to convince me to purchase this gorgeous palette, I haven’t even started to cover the vibrant colors on the inside. I’m just going to be honest; you need ALL the Anastasia Beverly Hills products in your life. This is a brand that won’t let you down. Let’s take a look! Anastasia Beverly Hills is a well-known company, famous for its amazingly formulated brow products. ABH also produces highlighters, lipsticks and even eyeshadows. The Modern Renaissance palette is the one we’ve been waiting for. It contains an array of the warm/red/berry tones which we have all struggled to find! I can’t think of any palette that has these tones at all, much less at the level of quality ABH continuously achieves. It launched for the Summer 2016 collection (which may confuse some because of all the warm tones it includes.) Honestly, I think we can all agree that this palette suits every season of the year. Its all about how you combine the colors for your look! These shades have been inspiring makeup lovers since the day they came out. The cover feels like a baby’s soft spot. It’s so nice to touch, while also staining easily. The first time I felt these powders I fell immediately in love. These shadows are so creamy, soft and you really just need one touch of your brush to get the right amount of product! I experience a minimal amount of loose powder that comes off when tapping the brush in the pan, but that’s no problem for me. Just be gentle with this palette. Since a little bit goes such a long way, this palette is a great investment for your collection! This palette comes with a brush, one side for applying the powder on the lids and the other for use in the crease and blending. I prefer using my own brushes instead of the ones that are included in most palettes, but I must admit that this brush actually works well. It is not too stiff, it can pick up the right amount of product and blending was really easy! These are the best eyeshadows I’ve ever owned! 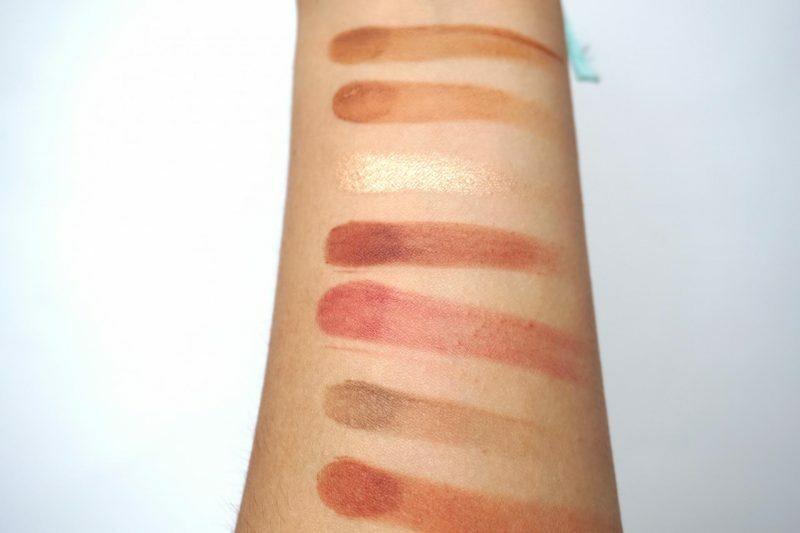 The pigmentation is amazing (these swatches are a little bit “mehh” because I was afraid to disturb the powder in the palette, sorry for that! 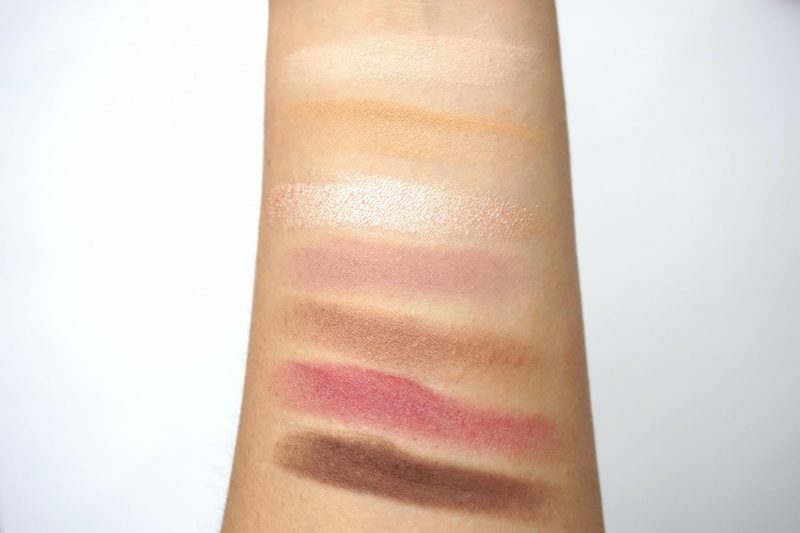 There’s no shortage of swatches of this palette out there!) as you can see. You really need only one tap for the perfect amount of product, if you apply to much on your brush, you will experience some fall out while applying the shadow! Also, you always want to work on building up the color, so that’s another good reason to only do one tap. Usually I don’t like to blend because 1) I can’t do it 2) most of my eyeshadows don’t blend very smoothly. 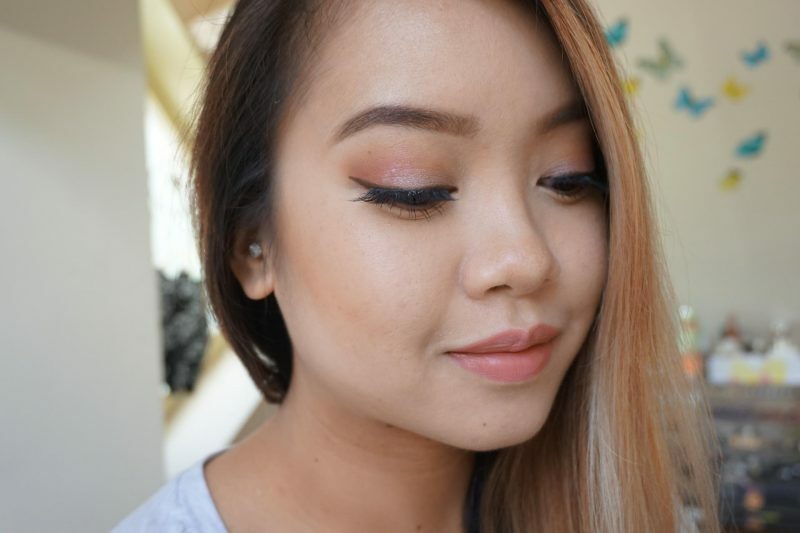 So I always create the easy “asian monolid” look, no need to blend! However, with this palette, a new world of blending is opening for me! Like seriously, I am not a makeup artist and I really don’t know how to blend, but when I do I usually end up like a racoon. The formulation of these eyeshadows are is so exquisite, that it doesn’t feel like blending, it’s more like smoothing out the product. My favorite combination is the metallic color Vermeer with one of the more orange colors, like Burnt Orange or Red Ochre. I used the following shadows:Warm Taupe in the crease , Venetian Red all over the lid, Red Ochre in the corner and Vermeer from the middle to the other corner. Overall I am so pleased with this palette! I’ve never been able to find a really pigmented berry/red color before, and this palette contains the most gorgeous warm/red tones. It even contains a few cool tones for the people out there who like to switch it up. I can recommend this to everyone who loves warm tones and is looking for their perfect berry shade! I’ve seen many looks with this palette on Instagram and I can say that this is palette will suit every skin color. This is my first Anastasia Beverly Hills Palette and I am really excited to have this item in my possession. It looks great in my flatlay pictures (see my Instagram) and it is just such a wonderful everyday palette. The price you pay is reasonable if you think about the amount of product and that you only need a small amount of these highly-pigmented shades. It blends so well and smooth that you don’t need an hour to make the perfect eyeshadow look! What else can I say? Everyone needs this palette in their life and I know that I will definitely repurchase it. 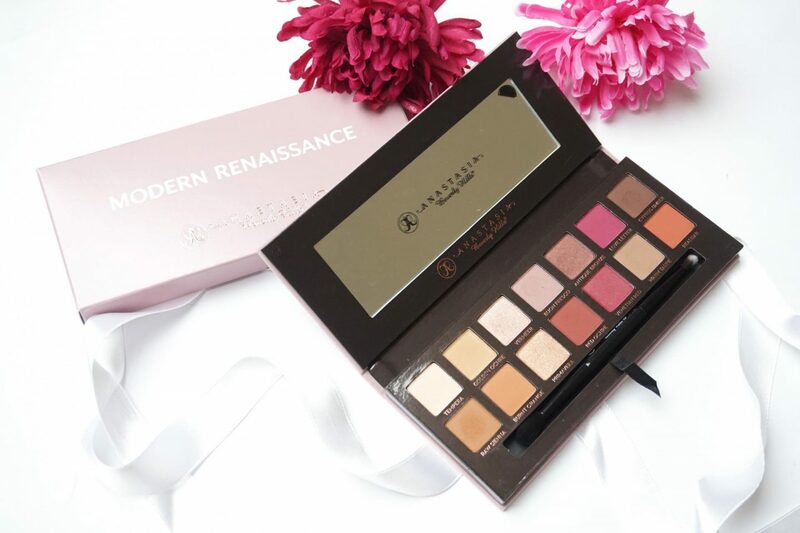 You can get your own amazing Anastasia Beverly Hills Modern Renaissance Palette here from Cultbeauty.com for £41.00 (€49,-). 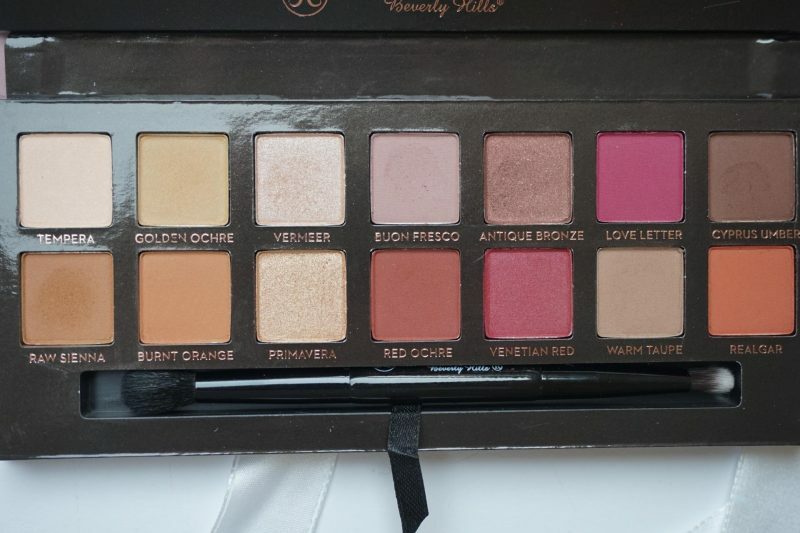 What are your first thoughts about this gorgeous palette? Thankyou so much for readingg! This is just such a gorgeous palette, need to invest! Soooo gorgeous! I need to get my hands on this asap. For some reason I keep delaying the purchase?? (I did just buy the Too Faced Peach palette so I’m trying to use that properly first haha) But – the purchase is inevitable for this palette is just too beautiful! Plus, the shades are actually quite unique! Jaa het is echt waar voor je geld en je kunt zoveel looks mee creeren! Ik wil het Palette zo graag maar ik moet nog even wachten! Goed artikel! I love the look you created! I nominated you for the Liebster Award by the way!